Publications of the Henri Frankfort Foundation; Volume 14. Publications of the Henri Frankfort Foundation; Volume 15. TALANTA is an Amsterdam based, peer-reviewed journal for the study of Antiquity. 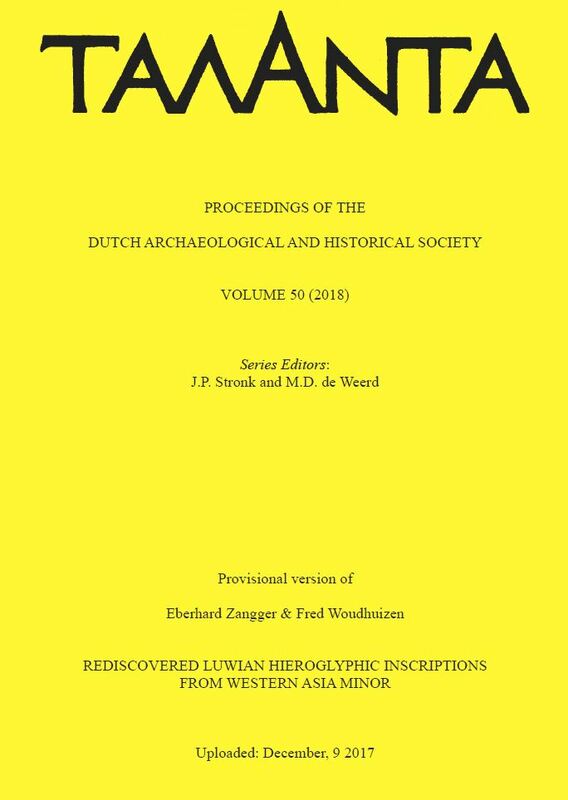 It is published by the Dutch Archaeological and Historical Society, an independent body of Dutch scholars in the field of Mediterranean archaeology, Classical and Ancient Near Eastern philology and Ancient History. The journal focuses on the study of the Ancient world in its widest sense, including Classical and Near Eastern philology, art history and the archaeology and ancient history of the Mediterranean world and the Near East. The supplementum ponticum and the supplementum epigraphicum mediterraneum offer a range of studies in the archaeology and history of the Black Sea region and the various languages of the Ancient Mediterranean.